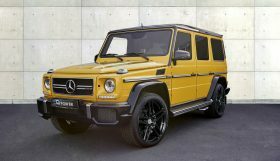 available and lends the all-terrain vehicle a sportier and significantly more individualistic note. off-roader into a dynamic eye-catcher. 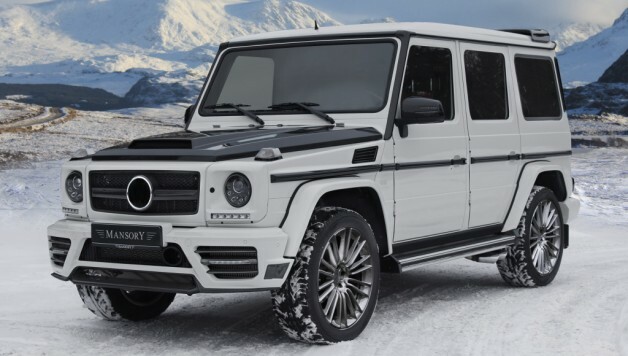 The proprietary developed main headlights are also the centrepiece of the new MANSORY Lightelements design, which give the G Class a completely self-contained look. 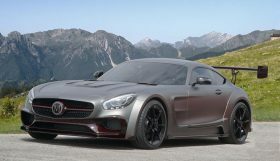 For this the carbon fibre hood harmonizes congenially with the roof spoiler, as well as the rear units designed with a diffuser look with the carbon fibre tail light covers The sporty appearance is completed by the new carbon fibre mirror housings as well as the carbon ornamental trim. 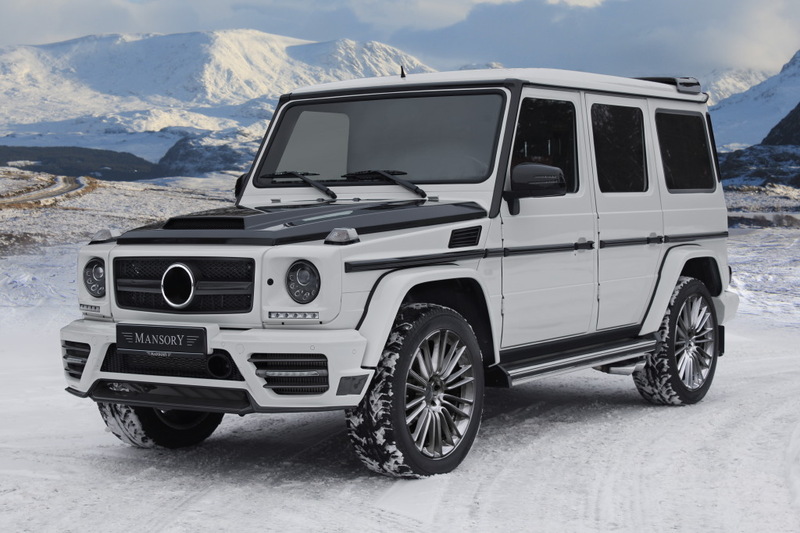 The MANSORY sports exhaust system is responsible for a beefy and imposing sound. The range of rims is impressive in both its size and variety. 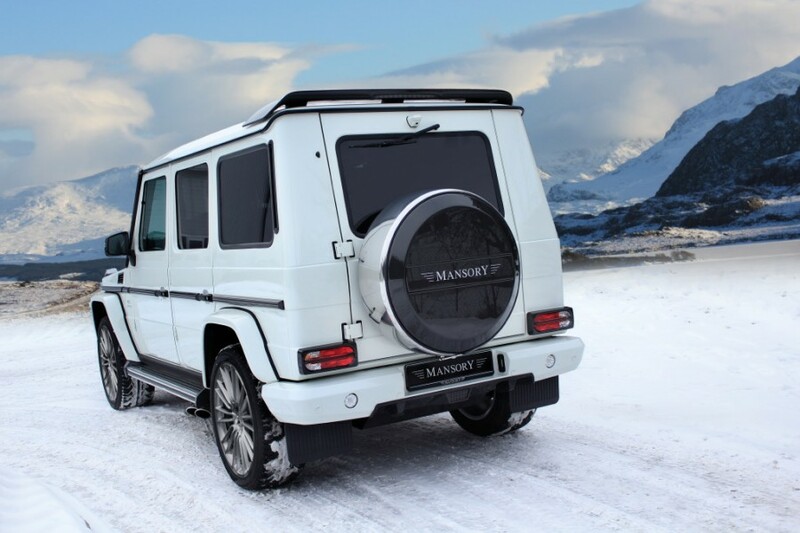 Whether it be distinctively sporty or luxurious and refined – MANSORY offers varying wheel designs and sizes. The latest development is the one-piece light-alloy wheel. The rims with the ten twin spokes measure 23 inches, which are coated in ultra-high-performance 305/30/23 Vredestein Ultrac Vorti tyres. characteristic natural product with its graining and the perfect hand stitching gives an air of extravagant flair all around the newly designed sports steering wheel with airbag. 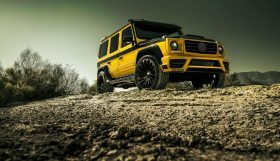 The pedals manufactured from aluminium and the genuine carbon fibre applications round off the exclusive Mansory range for the Mercedes-Benz G class. 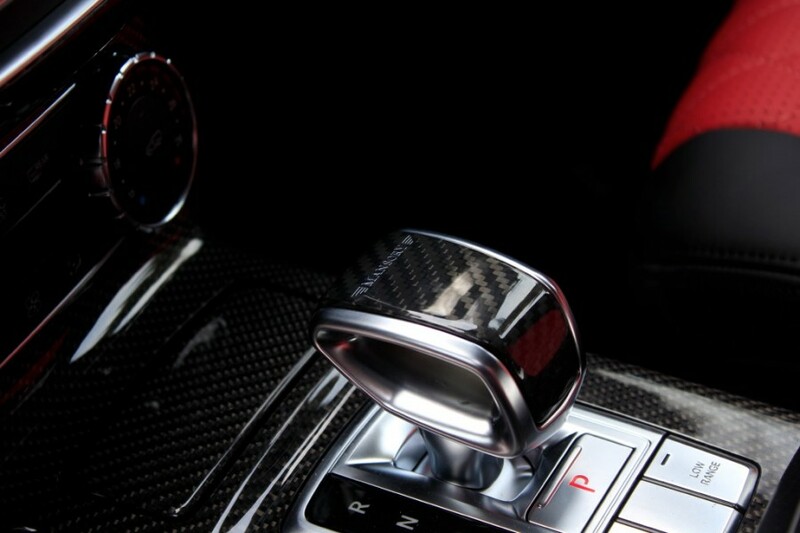 MANSORY Design & Holding GmbH offers only its in-house developed tuning accessories. The company does not offer its own make as “complete” vehicle, neither does the company deal with such type of vehicles.